Furniture Unlimited, we will work with you to help create and office in your home that is not only practical, but attractive. We have worked with businesses owners in this market for over 30 years, helping to create effective work environments. We understand the requirement of the business owners and managers, be it a Fortune 500 company or a part-time work from home parent. Whether you need office chairs, tables, desks or filing cabinets or more complex orders like conference tables; we take care of everything. We even deliver and set-up furniture for a small fee. 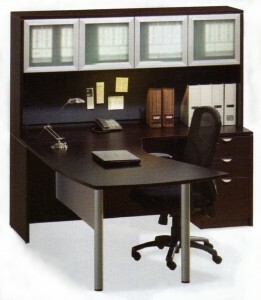 And if you have a special need for your home office in Greensboro, contact us and let us know what your situation is. If we don’t have what you require in our 40,000 showroom, we can order it for you and get it within a few days. Our main focus is to keep our home office customers work environment well furnished with beautiful and ergonomic furniture. And for a modest delivery fee our staff will deliver and set-up your home office in Winston-Salem, High Point, Greensboro, Burlington or Reidsville, NC. Presently, Panel Systems in offices are becoming a popular option for saving on office set-up. Moreover, workstation systems help to maintain privacy of employees so that they can work in a productive environment. At Office Furniture Unlimited we will design and set-up workstations or Cubicles if you prefer using panel systems. We have used panel systems in our showroom and can design cubicles to fit just about any space. If we don’t have in our furniture inventory what you need for your office, we also have new panel system options. If your office is located in Winston-Salem, Greensboro, High Point, Reidsville or Burlington, NC we can deliver and set-up the panel systems. And remember if your office is in Winston-Salem, High Point, Greensboro, Burlington or Reidsville, NC we do offer delivery and set-up for a very modest fee.